Children love making things with their hands. Creativity is an innate part of childhood. And, you love creating and making things, too—so why not share this passion and create something fun and festive together to add to your celebrations. 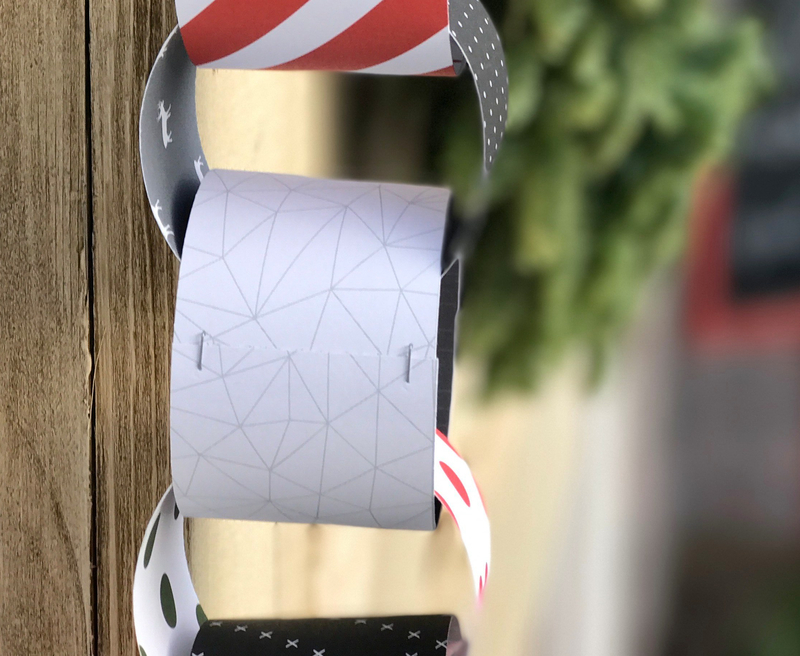 We came up with an idea to help you use up some of your paper stash while making valuable memories with the adorable little ones in your life. 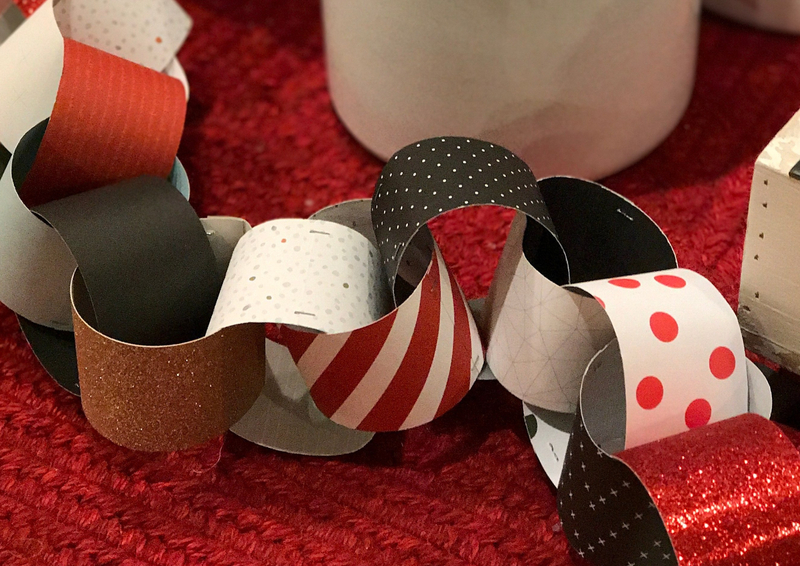 A simple paper chain like this is a cinch to put together, making it the perfect project for this busiest of seasons. It’s also a great project for involving younger crafters, and keeping those tiny hands busy! Use whatever fun patterns and colors you or your co-crafters like, and display the finished product as a garland. Make your garland any size and length you like, to fit your style and space. For ours, we made each link from 2″ x 9″ strips of paper. At first we used only an adhesive runner to keep the pieces together but as we started working with the thicker glitter papers, we realized that those pieces would need something extra if they were going to be links in our chain. So, we glued them first then added mini staples to make sure they stayed in place. Mini staples, while securing the elements of your project, make for fun accents, too. We ended up adding extra staples to pieces that didn’t need them simply for the look. The best part about crafting with children is not the project you are working on, but the moments you share with each other. That togetherness is especially wonderful during this time of year. Share your passion for creativity with the little hands in your life and turn that time into memories worth preserving. If you haven’t heard about our Cut Above® layout kits before, now is the perfect time to learn about them—because this month they’re 50% off! That means they’re just $7.48 USD each! We have two different kits: Forever & Always and Little One. They come with instructions, base pages, pre-cut pieces, and stickers to complete a two-page scrapbooking layout—no cutting required! You also get two Memory Protectors™ for storing your finished pages. As an added bonus, the kits also come with coordinating pocket scrapbooking cards and two divided Memory Protectors for any leftover photos you may have. Here’s what the Forever & Always layout kit looks like when it’s all completed—and remember, you make all of these pages for $7.48! And that means you’ll have more time to spend on other scrapbooking projects, learning new crafting techniques, or doing something else entirely! Check out this video to see how quickly the Little One kit comes together—you’ll be done in 15 minutes or less! No trimming, no fussy cutting, no cranking your die-cutting machine, no programming your Cricut®—aka less hassle for you! We know you love detailed paper accents though, so we just include those right in your kit! For example, take a look at the circle on the Little One layout with those pie-shaped pieces—creating something like that by hand takes a protractor… and a lot of time… and patience. And then you have the doilies on the Forever & Always layout. Sure, you can get that look with a Cricut®, but getting it in a kit saves you the time and hassle of cutting and cleaning up! 3. They work for multiple occasions. Well stop that silliness, and open your mind to the world of possibilities! 😉 These kits can be used for more than just two occasions. Ready for some inspiration? How about using the Forever & Always kit for anniversary photos? Or using it for anybody you want to spend forever & always with, like family? We especially love these generational photos of grandma, daughter, and granddaughter. And even though YOU may not be the one having a baby, the Little One kit is perfect for pictures of any little one (including toddlers and little kiddos!) in your life, be it niece, grandson, cousin, goddaughter—you name it! It’s even good for fur babies! 4. They make handmade easy. Even though the base pages are printed and all the loose pieces are pre-cut, these layouts are still handmade—and you can tell! One thing that sets these pages apart from any store-bought, pre-designed scrapbooks is that they have dimension. To start off, you are attaching loose pieces and stickers to the pages, which already gives them dimension—but then you can also pop up any pieces you want with 3-D foam tape for even more personality! Whether you’re new to scrapbooking or just looking for something new to try, these kits are sure to make your life a little bit easier. And at 50% off this month, they’re a total steal! Have questions about our Cut Above® kits? Leave them in the comments below, and we’ll give you answers! With April a skip and a hop away, it’s time to start thinking about Easter crafting! 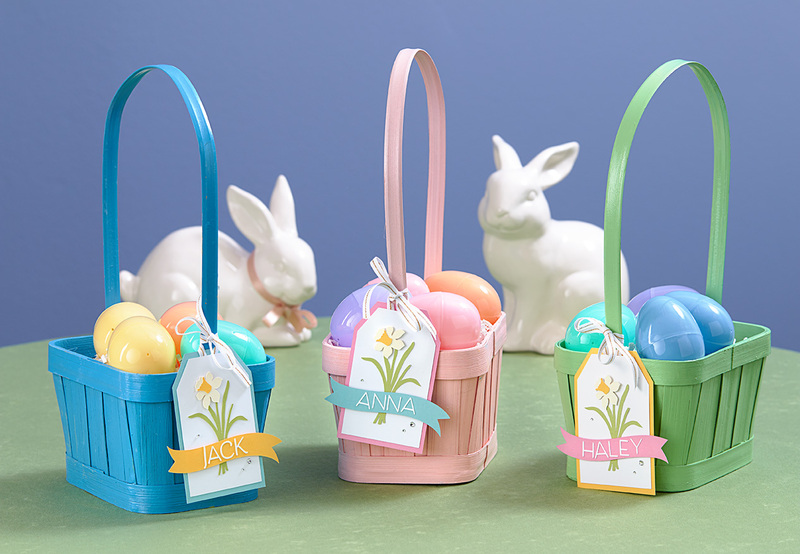 One fun project is to make cute name tags for your family’s baskets—and with our Cricut® collections, you can get adorable tags in a jiffy! The daffodils, banners, and letters on these tags come from the latest of our Cricut® collections—Flower Market. The tag bases themselves comes from our Cricut® Artistry collection, which is filled with lots of other basic shapes for crafting. Combine the two collections, and you get a whole new world of possibilities! You can see how we layered these pieces on top of each other to create a tag with dimension. To finish the tag, simply punch a hole in the top, add some ribbon, and tie it to an Easter basket. This quick project adds a personal touch to your Easter baskets, and you can use the tags time and time again! What Easter crafts do you want to try out this year? Tell us in the comments below! 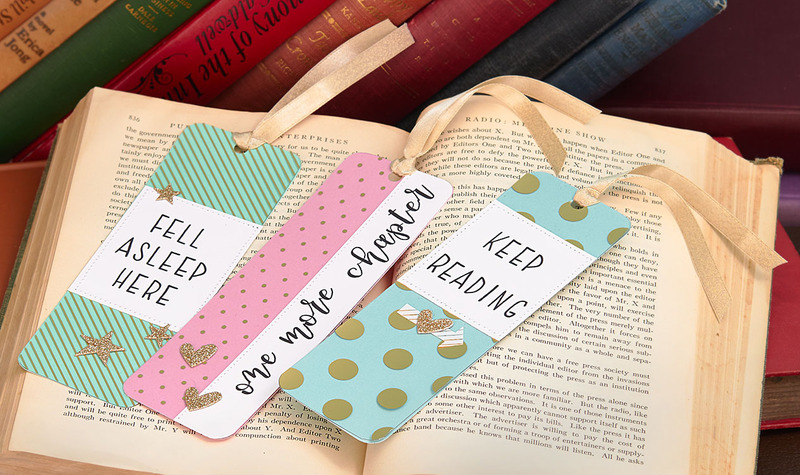 Today is National Book Lovers Day, and to celebrate, we’re sharing these adorable bookmarks with you! Here’s how we made them. First, we cut identical rectangles out of Sea Glass, Pixie, and Glacier cardstock, as well as our All About the Gold Fundamentals overlays. Then we rounded the corners with our corner rounder. After stamping our sentiments onto pieces of White Daisy cardstock, we used a sewing machine to attach the sentiments to the bookmarks, which is what holds the overlays in place. To top it all off, we added some ribbon from our Uptown ribbon pack and glitter accents from our Baby Girl Complements. Homemade bookmarks would be a great gift for your kids’ teachers as they head back to school, for your friends who love to read, or for your book club buddies. They’re also just a fun way to get you even more excited about the books you’re reading. National Book Lovers Day is the perfect excuse to make some cute bookmarks and then curl up with a blanket, a cup of hot tea, and your favorite book—but first, tell us what you’re reading right now by leaving a comment below! 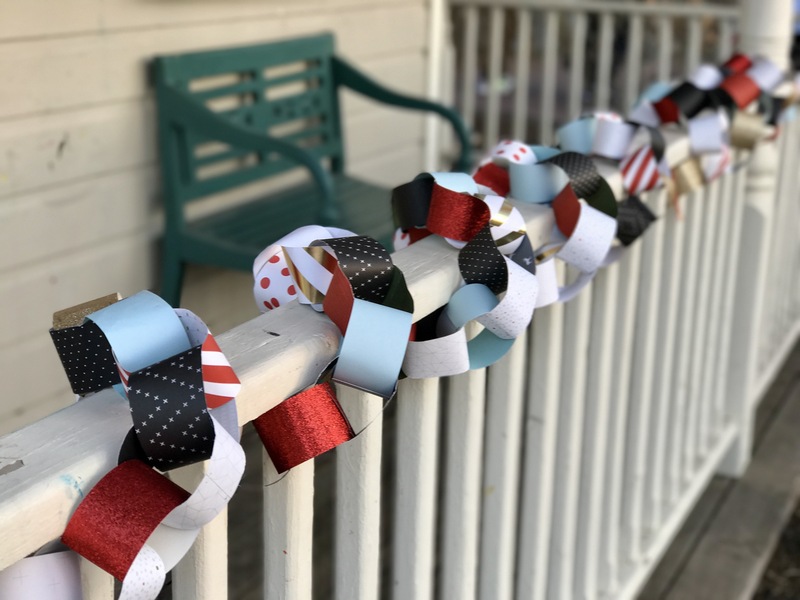 With Father’s Day about two weeks away, we want to share with you a fun DIY project that would make a perfect Father’s Day gift. For this project, we thought inside the box—to create this adorable display tray! It’s a beautiful way of reminding your special guy that he is loved. If you’re dying to recreate this look, good news—it’s really simple! First, get yourself our wooden display tray. Then pull out your Cricut® machine and cut out the letters for your message (we used the Cricut® Artistry collection). Next, snap some photos with your kids or grandkids holding the letters. To bring it all together, place the pictures inside the little boxes on the tray, decorate any remaining boxes with paper and embellishments, and you’re done! You’ve accomplished a lot in the past few weeks. You’ve cooked, cleaned, decorated, shopped, wrapped, and brought smiles to a lot of faces! With such a long “to-do” list, it’s no wonder that you still need a few more Christmas gifts for some loved ones. Well, we’ve got you covered! These four gifts are adorable and easy to make at the last minute. Check them out! Spice up your friend or family member’s wall with a beautiful shadow box! Creating a unique page to place inside can be as simple as choosing a Cricut® shape you like, and cutting it at a size that fills the entire page. Adding a mini banner inside also adds a fun touch. 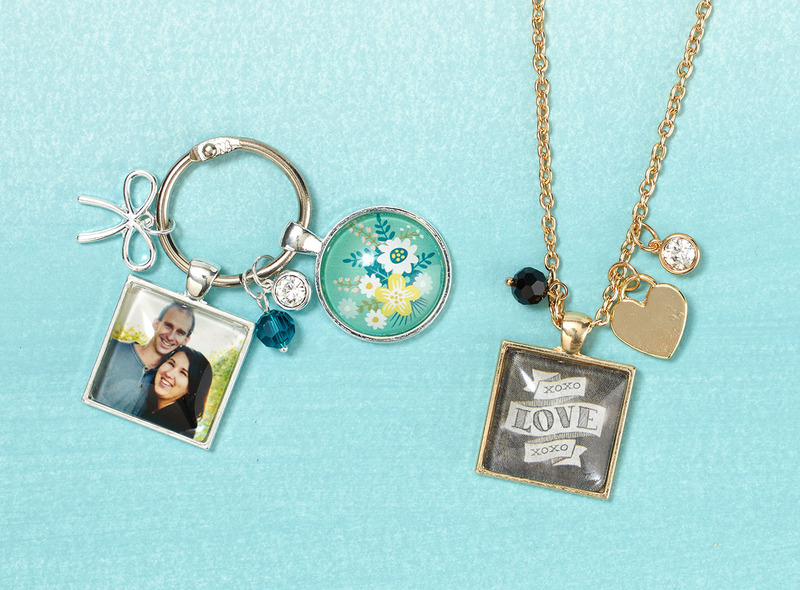 With Base & Bling, you can create personalized jewelry in a jiffy! We also recently showed how these can be put to great use as Christmas tree ornaments. But did you ever think of using the Base & Bling to create key chains? Personalize it with a family photo to make a fashionable accessory for important gals or guys in your life! You can even add cute charms like these to add some extra sweetness. Everyone loves a little pampering, especially after the holidays. 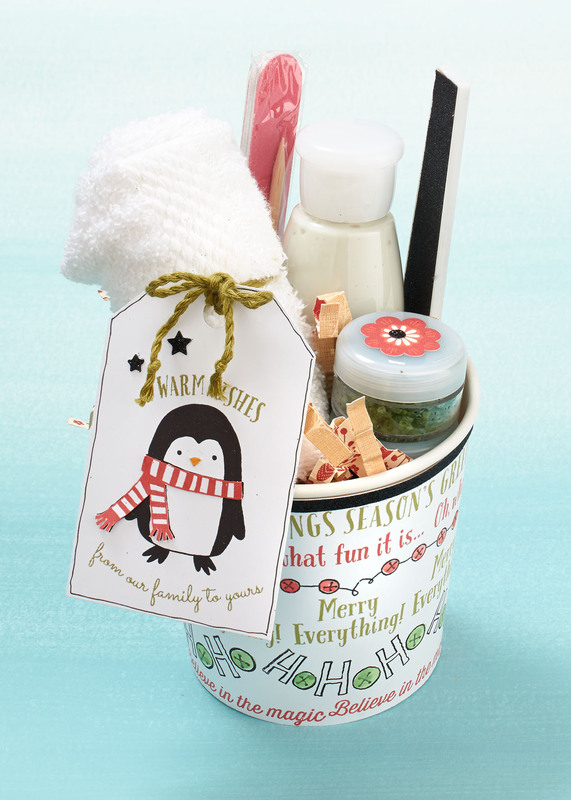 Decorate a My Creations™ pint-sized container, and then fill it with some spa essentials. For a special touch, add some White Pines confetti and this cute penguin tag! 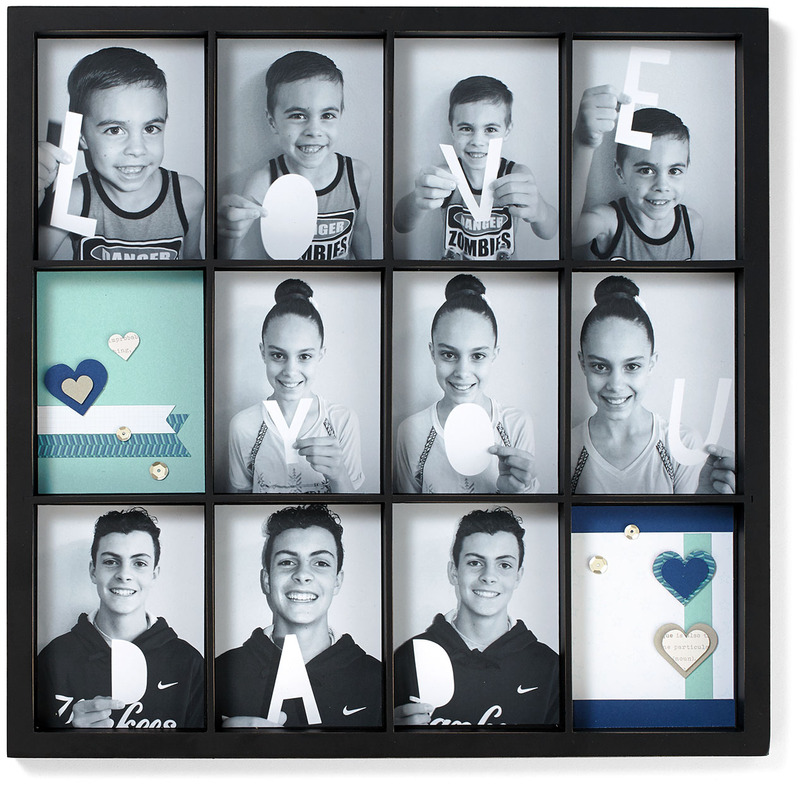 Everyone loves home décor that celebrates family, so get a Designed Décor hinged display tray, and fill it with their family photos. 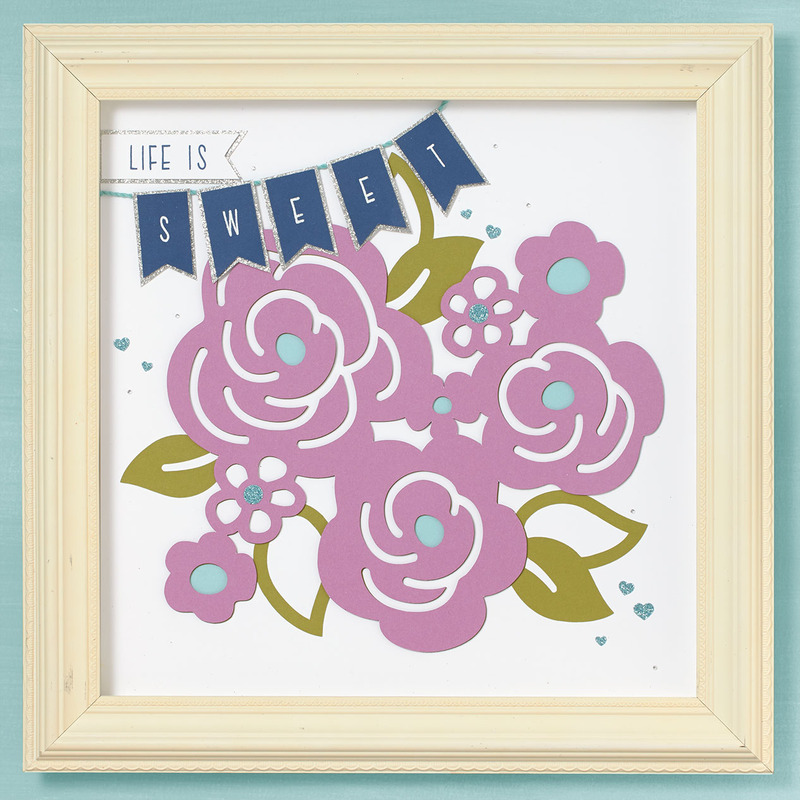 Create your own decorative cards, or use our Picture My Life™ cards for an even quicker finished product. We especially love the personalized monogram here made with leftover embellishments. It’s beautiful! Wanting to create some of these yourself? Go for it! With the recipes below, your creativity, and a little Christmas spirit, you’ll be giving the cutest gifts of the season! Be sure to tell us which one is your favorite in the comments below!